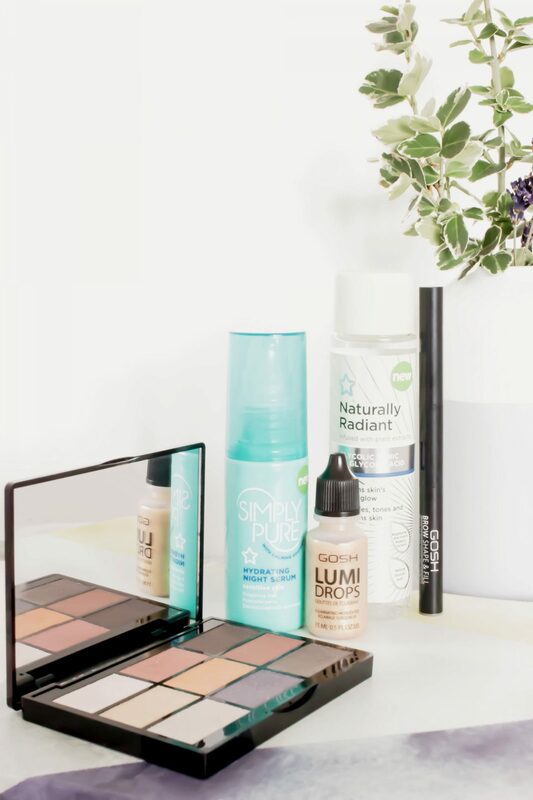 If you haven’t been into your local Superdrug recently then I would most certainly look towards making a pit stop next time you pass by, they have some fantastic new products which have recently hit the shelves, some of which I have to share with you today. Superdrug’s own brand was for a little while my go to for skincare. Over the years whilst I have loved their ranges I have found myself moving on and using other things, mainly because I love beauty and enjoy trying different products. That being said, I still adore their Vitamin C Hot Cloth Cleanser and the Naturally Radiant Night Cream which I keep meaning to re-purchase as it worked really well on my skin. I have opted to link you to a very old review (please excuse the awful photographs) of the night cream, as I still, to this day really do rate it. Now, I know people who absolutely rave about the daytime version of this, which I feel may be worth pointing out that I have never personally tried. At the moment, I am currently finishing off my Kiehl’s Midnight Recovery Concentrate which I envision has roughly two weeks worth left in it. Once I finish off that I will be moving onto this in order to see how it works on my skin. I have high hopes as with all previous experiences with Superdrug skincare I have had positive results. I am incredibly excited to start using this in the next week or so. Once again, I am trying to finish up products before I move onto something else. Given the read up on this, I am hoping that it will be somewhat of a cheaper dupe for the Pixi Glow Tonic which I am currently finishing off at the moment. Chemical exfoliators such as these work nicely on my skin from experience, therefore I am quite curious about this little product. At the time of writing this is on offer priced at just £2.95; it is well worth trying this out for just the price tag alone in my opinion. Moving onto make up, there are several new releases from GOSH. In the past my experience with GOSH has been incredibly limited, however, I did have a bad experience with one of their primers back in the day which caused me quite a few break outs. Since then I have stayed away, perhaps unfairly as one bad experience isn’t really a good enough reason to not try other things from the brand. Well I have to say that I feel pretty stupid as it wasn’t until I came to link this product to the post that I discovered that this is dual ended…#doh! So, after unscrewing the other end and seeing that there is also a sponge applicator for the powder (obviously to fill in bigger gaps) I am now in two minds about this. Firstly, I love the more precise pencil end of the two, however do feel that it could be thinner than it is in order to provide a more defined finish. The second half however is just too thick, I am not sure how I would begin to even use the powder end in the form that it is in; I feel like it would end up quite messy. That being said, in terms of the shade ‘grey brown’ I think that this is one of the better high street brow shades that I have used to date; it is a lot more natural and is much cooler in tone. Overall, I like it, I just know that the dual end factor is a bit wasted on me as I will not make use of the sponge end. The Gosh Lumi Drops are my first forage into the realms of a liquid highlighter in this format. From what I can see online there are four shades which look as though they would be practical as highlighters and two which are most certainly blush shades. The gold version is the version which I have, whereby I have to say that I love the formula and finish but find that the shade is just the wrong one for me unfortunately. This really is bright gold and incredibly beautiful, yet on my pale skin tone I just think it looks a bit off. Having tried this I would be really interested to try the vanilla shade as I think that this would be much more suitable. Having never tried any eye shadows from GOSH prior to this, I really did not know what to expect. It is safe to say that I am very, very impressed. This is a metallic palette and will be perfect for the festive season which, I might add, is approaching faster than I honestly would like. However, I digress. I believe every single shade within this palette is wearable, although naturally the metallic shades do lean towards more of an evening look. That being said, I have happily been wearing the lighter neutral shades to work for the last two weeks. The pigmentation is fantastic and the fall out is barely noticeable, if any at all. On top of my mac paint pot base these do not budge, in fact I would go as far to say that the quality of these eye shadows have rivalled some of my more higher end palettes. For just £12 I think this is a fantastic palette, and sadly feel that it may be overlooked in comparison to other brands. I truly feel like this would be such a shame, I would highly recommend it to my friends and family. Having been on the Superdrug website this evening in order to link you to the featured products I have personally come across so many amazing deals. Take note that the night cream I linked to above is currently less than £3 on offer, I will be stocking up on that as of five minutes ago.